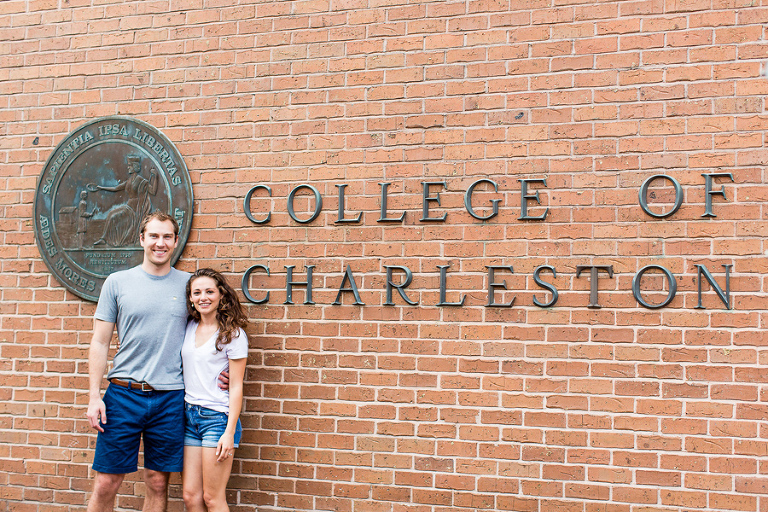 Alyssa and Charlie met at the College of Charleston, so we started their historic Charleston engagement session on the campus. Later, we hit some of their other favorite spots including Waterfront Park and the Charleston Battery. You’ll have to check out all the photos to see the special circumstance Charlie was dealing with at the end of the post. 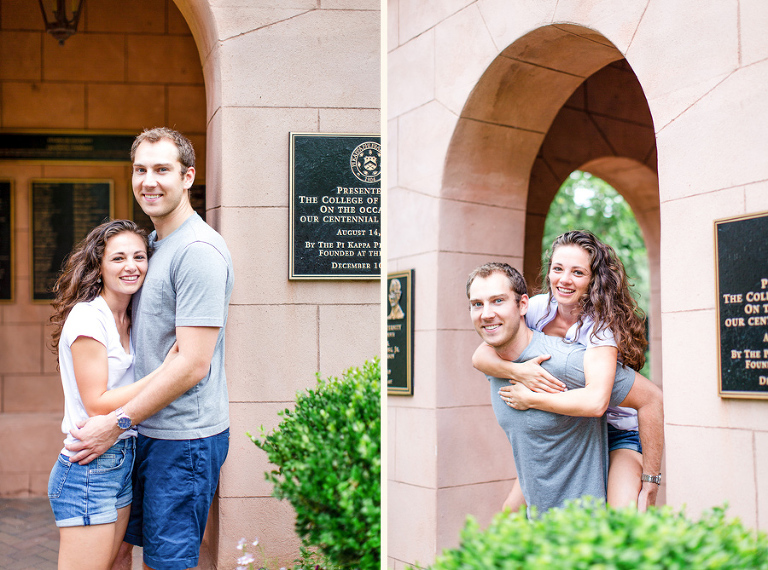 These two are returning to Charleston in May for their big wedding day! I’m looking forward to lots of dance action with this duo at Boone Hall in Mount Pleasant. It’s always such a beautiful wedding venue, and I’m happy to document their long-awaited day in another favorite Charleston location. 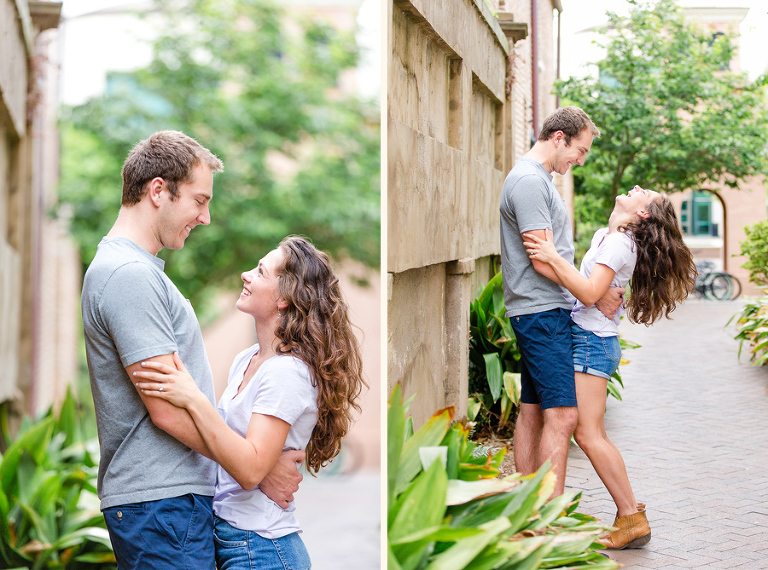 So Charlie was on crutches for their historic Charleston engagement session. We stashed the crutches at each spot and he covered some territory between photos! They tied the knot. And will wed in May! 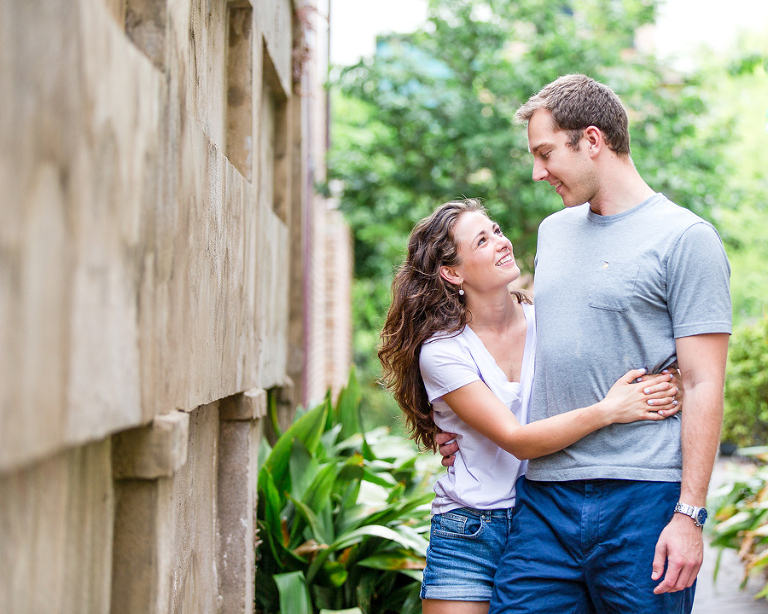 If your C of C friends are looking for a relaxed portrait session, please pass along my name for an historic Charleston engagement session.